Casio continues to impress with their innovative new tech products. 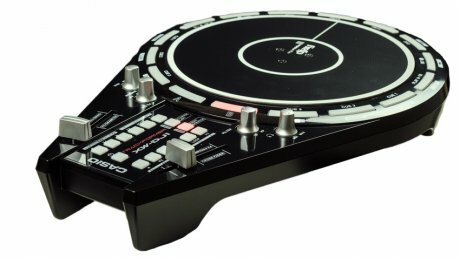 Preview teases at NAMM this year include the XW-PD1 Groovebox and XW-DJ1 Dj Controller. 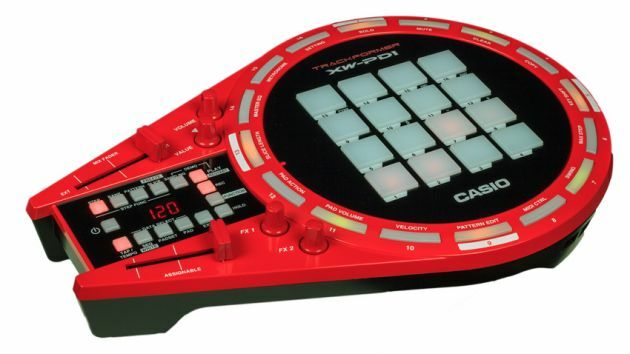 The Casio XW-PD1 Groovebox features 16 velocity-sensitive pads and four knobs and an intriguing circular set of 16 lit buttons, resembling some kind of red spacecraft and sure to be a winner in the entry-level DJ market. It’s equipped with a synthesiser engine and a host of effects. Pad tap sequences may also be recorded in real time and sampled sounds from the mic or music player can also be played on the unit’s pads. Featuring a large 7 inch platter, the XW-DJ1, which comes in stylish black, offers the vibe of an analogue turntable with filter controls and cross fader. It is compatible with Alogoriddim’s djay2 apps for iTunes too. Essentially the units offer users the ability to emulate their fave DJs and producers. It is battery powered and offers a built-in speaker.